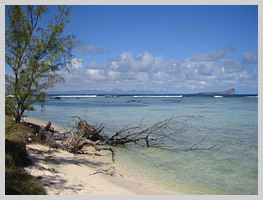 The majority of Mauritius Island is surrounded by a coral reef that has resulted in the formation of sandy beaches with a characteristic pink-white colour. This magnificent bay is today one of the main tourism centres of the island. 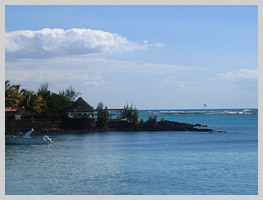 The beaches, a popular haunt for scuba diving and sailing enthusiasts, are equipped for visits to the coral reef and for the full range of seaside and entertainment activities And Grand Baie is a renowned nightlife centre with many venues that have been opened in recent years where visitors can enjoy live bands and shows reflecting the local culture. 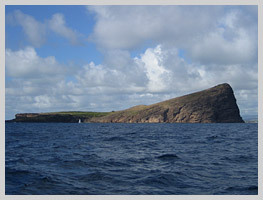 Not far from Grand Baie, at a distance of just 2 km, Pereybère is sited on the northernmost tip of the island in a small inlet. The classic deep blue colour of the water, an effect of the greater depths in this part of the island, make this beach one of the preferred destinations for bathers. Nearby, at Goodlands, visitors can admire the Historic Marine, an important sea craft model maker and a destination for collectors from all over the world. 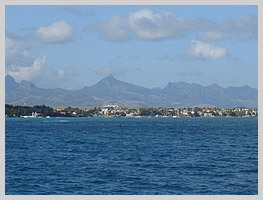 There are four small islands just off the coast: Coin de Mire, whose name comes from an historic aiming device utilised for cannons; Ile Plate, famed for its lighthouse and a small cemetery from the 19th century; Ile Ronde, where visitors can encounter the "fentonte" lizard, one of the indigenous species of the island; Ile aux Serpents which, despite the name, is home to wide variety of seabirds rather than reptiles. A tiny village with market stalls selling souvenirs, several restaurants, and a small menagerie with several giant turtles. 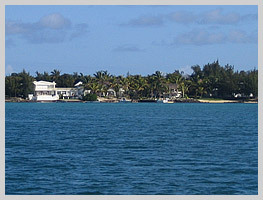 A few minutes by boat brings visitors to Ile aux Cerfs, where they can admire the magnificent local deer population. In addition, visitors can enjoy the tranquillity of its breathtaking beaches, famous through Mauritius Island, or take part in sports or aquatic activities from scuba diving to windsurfing. Thanks to its stunning white beaches surrounded by a crystalline blue sea and the lush filaos woods, in recent years the village of Flic en Flac has become one of the main tourism centres of Mauritius. This is a must for scuba diving enthusiasts, thanks to its magnificent coral reef and the colourful marine fauna. 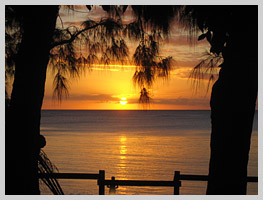 Flic en Flac is considered to be one of the most beautiful beaches of the Indian Ocean.